FifthEstate’s pool of experts has representation from spheres like technology and innovation, ICT for development, business, public sector, academia, and journalism. Chrisanthi Avgerou is a Professor of Information Systems at the London School of Economics and Political Science. She specialises in relationship of ICT to organizational change and the role of ICT in socio-economic development. She is chairperson of the IFIP Technical Committee 9 on Social Implications of Information Technology and she chaired the IFIP WG 9.4 group on computers in developing countries from 1996 till 2003. She is Associate Editor of the Information Systems Research Journal and The Information Society Journal. She is Fellow of the British Computer Society and Fellow of the Association for Information Systems. She is currently organizing the 8th Human Choice and Computers conference. Her research areas are Information systems in the context of developing countries, Information systems and organisational change, Information systems implementation. Professor at Copenhagen Business School, specialises in research and development of Information and Commutation technology and in innovation. Dr. Sudhanshu is a Team Leader with Euro-India ICT R&D Project at Copenhagen business school. He works with New Institution theory, ICT R&D, IT, culture and innovation. He is currently engaged in research that explores virtual and networked teams from an institutional perspective. He is a member of the faculty at the Department of Informatics and is the project manager of a EU funded project on Mapping the ICT, Research and Development competency of India. Prior to his academic career Dr. Sudhanshu has worked in the IT industry as director of system design at trust4health a health insurance company and was was also employed by Tata Economic Consultancy Services in New Delhi as Senior Economist . He has also served the government of Sikkim, in India as their economic advisor and was responsible for IT diffusion and strategy across the state. LT. Gen. Sushil Pillai was born in 1934 and commissioned in 1955 into the Assam regiment. He served in command of troops from platoon to corps (3 divisions) levels. He was promoted to Deputy Chief of Army Staff and Director General Infantry and also served as Military Attache in Moscow and Ulan Bator. Lt Gen Pillai was awarded the Param Vishint Sewa Medal (PVSM) for outstanding service and retired in 1991. 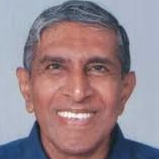 Since then LT Gen Pillai has been an active proponent for the development of ’civic consciousness’, has written two monographs on Nagas and Mizos, is the Associate Editor of ‘Fault Lines’ and is active in the Kerala Election Watch programme. Dr. Bobby works with Indian and other national governments, international agencies and civil society organisations on issues related to governance, finance, development and foreign policy to improve health in India. He has served as a member on the developing country NGO board delegation of the Global Fund to Fight AIDS, TB and Malaria, between 2006 -10, and also as the Chair of its Ethics Committee. He has served as the Advocacy and Public Affairs lead for the India office of the Bill & Melinda Gates Foundation between 2010 – 11. As an advisor and member of governing boards and technical working groups, he has served George Soros’ Open Society Institute, the Population Foundation of India, MD India Pvt. Ltd, Saahasee, the Emmanuel Hospital Association, and the Governments of India, South Africa, Sri Lanka and Indonesia. Dr. Bobby John was trained at the Armed Forces Medical College, Pune, but stepped out of a career with the Indian Army to work among the rural poor in village Kedgaon of Maharashtra India during his early years of medical career. Emrys is a strategy specialist in communications and mobile technology with substantial experience in research, policy and practice. Emrys has advised national governments, international and multilateral organisations and NGOs on the use of media, communications and public engagement to address governance, conflict, and public policy issues in the health, education, justice and legal sectors. He is the co-founder of iMedia Associates and the Director of Innovation and Technology. iMedia is an innovative company, working with rapidly converging media to tackle communication challenges presented by conflict, governance and poverty. Its clients include UK government departments, national and international donor agencies and NGOs. Its recent work has included the development of mobile phone based media services in Afghanistan and Pakistan; broadcast, social and mobile media for peace building in Nigeria; promoting HIV/AIDS social and behaviour change in southern Africa, and strengthening the media’s role in electoral reform in Nigeria. Amir is a development economist with a special interest in Education, Agriculture, health and financial inclusion. He also is fellow at the India Development Foundation. He is a member of the Mont Pelerin Society and has been an Adjunct Professor of Business and Law at the Edith Cowan University in Perth, Western Australia. Amir also worked as Researcher for the Ministry of Finance, Government of India and the UNDP at Project LARGE (Legal Adjustments and Reforms for Globalising the Economy). Paul Kronenberg is a “Social-Engineer” and co-founder of Braille Without Borders (BWB) and kanthari, International Institute for Social Entrepreneurs and Innovators. He has a technical background graduating in mechanical engineering, computer science, commercial technology and data-communication system science and gained practical experience while working for different organizations in development projects in Africa, Eastern Europe and Tibet. Next to being a motivational speaker, Paul has a keen interest in eco friendly low cost “open hardware” technologies and architecture. Paul is the driving force behind the low cost and eco friendly designs of the buildings and supervises all construction activities within the projects. Mr. Osama Manzar is an entrepreneur, author, speaker, editor, columnist, and new media specialist who is spearheading the mission to overcome the information barrier between India’s rural sector, and the so-called developed society, through Digital Empowerment Foundation (DEF), the not-for-profit organisation founded to accomplish the mission.